A grieving mother facing court over a string of parking fines was shocked when a judge told her she no longer had to pay the fine. Known only as Andrea, the distressed woman was called before 80-year-old judge Frank Caprio who started to run through her unpaid tickets and asked her the reason why she hadn’t yet paid up. But as the woman started to speak she broke down in tears, explaining how her fines spiralled after her son was killed and she was left with his debts. 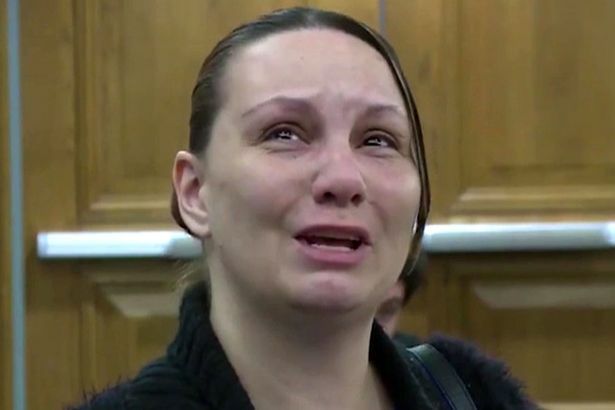 She also said she was struggling to pay the funeral directors for burying her son and kept getting more fines as she tried to seek help for previous ones. Andrea also got evicted from her home and has been on anti-depressants following his tragic death. And the judge was visibly taken aback by the woman’s ordeal. He told her: “I think we can all express sympathy to you and understand the trauma that you have experienced. “I am going to take all of the circumstances that you just explained to me into consideration and see if I can balance the equities to protect the interest of the city and take into consideration the horrific story that you just told us relative to your son. The judge asks her if she can pay $50, but when he finds out that would leave her with just $5 in her pocket he takes an extraordinary step and clears the amount owed to zero. “With that, best wishes and I hope that things turn around good for you. Good luck to you,” he adds.